As part of its vision to make Nigeria the Data Science outsourcing hubfor Africa before 2019 and create 1 million new jobs in the next 10 years, Data Science Nigeria is holding an extensive learning bootcamp between Friday 20 and Sunday 22 January 2017 in the Lekki axis of Lagos State. The bootcamp will address varying capacity gaps in Data science for beginners, intermediate and experts with specific focus on Machine learning, R statistics and programming/Python for advanced data analytics. The bootcamp is also supported by Arise & OneFi who are also providing internship opportunities for the best participants at the intensive training camp. 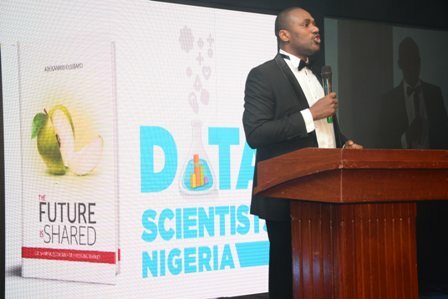 Data Science Nigeria is an initiative of MTN’s executive, Bayo Adekanmbi who previously served the company as the General Manager Business Intelligence and Chief Marketing Officer before proceeding on a 15-month academic sabbatical for his PhD research on the use of data science for understanding consumer social consumption behaviour. The boot camp will run as a regimented learning session and will include virtual classes with foreign-based data scientists, self-paced online certificated courses and face-to-face session by local experts in Machine learning, Statistics, Python and R.
Python Nigeria, a user-group that promotes Python computer programming language in Nigeria will facilitate some of the practical hands-on session on Python programming. The free residential bootcamp comes with an intensive requirement. All the world-be participants are expected to complete a 12-hour course on IBM BigDataUniversity.com and submit their completion certificates to secure a placement. Data Science Nigeria is driven by a compelling drive to raise a new generation of world-class data scientists, who can tap into the over $125 billion big data analytics market. Available statistics from IDC Research Group already indicates a need for almost 200,000 people with deep analytical skills in the US by 2018, and a requirement of five times that number for positions in data management and interpretation capabilities. Data Science Nigeria is poised to ensure that the country can secure at least 2% of this global value, which will mean an over 1 trillion naira economic return through knowledge-based FOREX earning. Interested participants may send an email to the event organiser on kayode_ledipo@yahoo.com for more information on how to secure a space. OneFi is Nigeria’s leading fintech lender with two pioneering unsecured loan products Paylater, which is a consumer loan via an android app and FlexAdvance, an SME loan based on POS transactions. The company employs Big Data and machine learning technologies to reduce risk and provide access to credit to both the underbanked and unbanked. Arise is a platform whose mission is to promote the proliferation of data science in business and is working on creating a data science hub in Lagos.